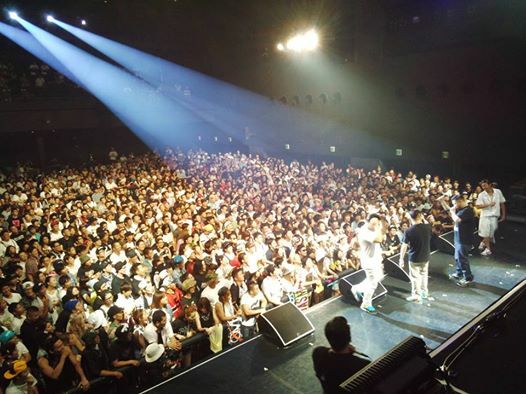 Japanese rap has been experiencing a massive boom in recent years, not only among hip hop fans, but among the general public. But what is hip hop? What is rap? DARTHREIDER, an active rapper in today's Japanese rap scene, is someone who should be able to answer these questions. 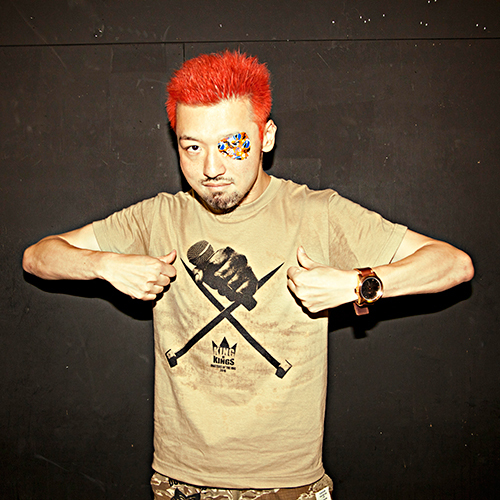 He has written about the history of hip hop and the present boom in Japanese-language rap. In recent years, there has been a real boom in freestyle rap, or improvised rapping, with vigor like never before. You can see it from the popularity of television shows, such as the High School Freestyle Rap Battle and the Freestyle Dungeon, both of which I help with, or the high level of the KING OF KINGS: MASTERS OF THE MIC Championship which decides Japan's number one rapper. I feel that rap has truly succeeded in penetrating the society. Here, I dared to use the term "rap." Freestyle rap is an art form derived from hip hop culture, but behind the recent boom is, for better or worse, the newfound split between hip hop and rap. This can be viewed another way: in the process of rap's establishment as a new way to use the Japanese language, it became possible to sever "rap" from "hip hop." There are various stories about the birth of hip hop, but it is said to have all began on the day that DJ Kool Herc held a birthday party for his younger sister on August 11, 1973. It started with his discovery of breakbeats, where he could sustain the energy in the room by alternately playing the drum-heaviest part (i.e. the part where the guests danced most excitedly) of two records, which led to the arrival of B-boys who would dance when these breakbeats played, and MCs who would stand beside the DJ and whip up the excitement of guests. Street art soon became closely linked, with graffiti artists finding inspiration from the scene. It was the hit song "Rapper's Delight" by the Sugarhill Gang that brought the culture that sprang out of the underground in New York, based mainly on the Black and Latino populations of the Bronx, to the masses as a new "form" of hip hop. The movies Wild Style and Beat Street were released and the appearance of Run-DMC helped spread hip hop around the world. It was even brought to Japan in the form of information and artists visiting the country at every opportunity, even though for many years it has been criticized as "borrowed" or "mimicking" the real thing. How, then, will the hip hop culture from New York become firmly established in Japan? This is an ongoing battle. Day after day, hip hop is updated with new styles by the current progressive youth culture. If we think of this as a vertical axis, then we can consider the sense of separation from the music's birthplace in New York as the horizontal axis. The history of Japanese hip hop, one could say, is a history of continually seeking a positional relationship on the vertical and horizontal. How can hip hop establish its place amid this positional relationship that extends to musical expression, fashion, and even slang? If we focus solely on rap, then there is a real sense of separation from the original -- that is to say English -- rap. Should we rap in English? Or in Japanese? Or should we aim for Japanese that sounds like English? No. Hip hop is something that minorities originally developed based on their roots; they turned their shared background into strength. With that in mind, Japanese people should rap in Japanese. What are the techniques for rhyming in Japanese and English with their fundamentally different linguistic structures? What about the order of subject and predicate? Whether consciously or unconsciously, arguments and considerations like these are endlessly repeated. Not to mention, how can we reconcile all of these points with the "latest hip hop" styles? This continues to be both a problem and an incentive for Japanese hip hop. New form of "Japanese rap"
Freestyle is a technique for expressing hip hop using improvisation. 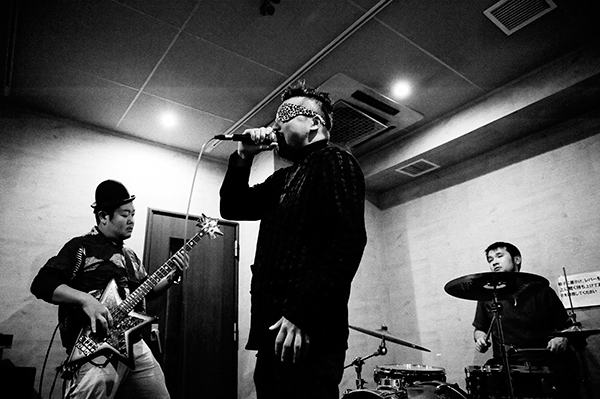 Amid the current popularity of freestyle in Japanese-language rap, it is characteristic of Japanese society to appreciate this improvisational nature while comprehending the Japanese lyrics. This is a rushed explanation, but coming up with Japanese words instantaneously seems amazing, and that can be understood even without the context of hip hop. That is to say, if we put aside the difficult history, which has continued for many years, it is still possible to create a new form of hip hop. We could say that this is the final destination of the long and difficult history of hip hop in Japan, and that it is now "something else" that has no need for a problematic past. Going forward, in what form will freestyle rap advance in the Japanese language? Perhaps we are now experiencing a fork in the road. DARTHREIDER a.k.a. Rei Wordup, whose real name is Rei Wada, was born in 1977 in Paris, France. He studied at the University of Tokyo. Besides performing as rapper/MC of 9sari Group label, he has also been involved in activities, including lobbying for the Revised Entertainment and Amusement Trades Control Act, as a member of Club and Club Culture Conference (CCCC [pronounced as C4]). At present, he is developing his live act as the vocalist of THE BASSONS, under the name of Rei Wordup.